I was asked to speak at the annual BPUG Seminar in Utrecht, the Netherlands. The BPUG is an association of change professionals, such project managers, scrum masters, change managers, portfolio managers, coaches, and facilitators in change. Most of their members are certified in one or more of APMG’s best practices for Project, Program, Portfolio, Change, Risk, and Benefits Management, and their annual conference is a “big thing” in the Benelux, even drawing visitors and speakers from the UK and Germany. Similar associations, like IPMA and PMI, have stands on the trade floor. In the Netherlands, they cooperate rather than compete. This year’s theme was ‘Next Practices’, which meant that it was time to reflect on trends such as the ‘projectification of societies’ and ‘the changing role of project managers’. Projectification of society is the trend, identified by IPMA, that an increasing number of activities in business and life have become unique assignments because we tend to automate all routines. An estimated 30 to 50 percent of our GDP is related to unique assignments, such as projects. And with agile and lean practices on the rise, project managers look to add value not in the development and delivery of enablers, but in the transitioning to – and adoption by – users. Change management has always been the prerogative of line management, but as they are dropping the ball, and project managers are forced out of the creation process, ‘migration’ seems inevitable. These and other trends call for new practices for change professionals. So, Axelos and APMG were presenting their new best-practices. PMI promoted new standards. IAF was creating awareness for facilitation skills. And IPMA sold books on their latest International Competence Baseline. With all of that going on, I was asked to speak in a breakout session for 45 minutes about a best-practice approach to starting up a new business. To start new businesses, I combine ‘best practices’ like MSP, Scrum, Growth Hacking, Design Thinking, and the Lean Startup method. Whether it's a new consulting business, a baby & toddler shop, a new crowdsourcing platform, a real estate business, a new e-learning concept, or a new app to enable volunteer work in the gig-based economy, the principles are the same. And I was happy to share my business startup approach. I started my talk by introducing myself, setting the stage for my talk, and picking someone from the crowd to help me by writing stuff down on the flipchart. I asked the audience what their association was with the word “startup”. Thus, we created a word cloud together. Who has never been involved with a startup may sit down. 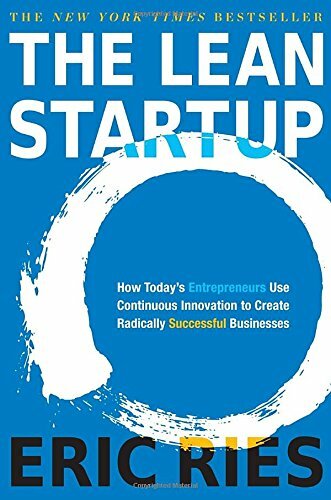 Anyone who is not familiar with the Lean Startup method may sit down. Who is not familiar with MSP (Managing Successful Programs) may sit down. Those that stayed standing, about three or four people, were my designated conscience. I asked them to call it whenever I said something theoretically incorrect. That kept the know-it-alls engaged as well. A Program is defined as a temporary, flexible organization created to coordinate, direct and oversee the delivery of a number of transformational activities in order to deliver outcomes and benefits related to the organization’s vision and strategic objectives. A special type of program is the Startup. Startups are human endeavors to uncover new sources of value by creating (or transforming into) a learning organization that rapidly designs, develops, and launches new products or services in a validated manner under conditions of extreme uncertainty. Then, I got around to the content I wanted to present. The following is a summary of the presentation I delivered. Startups are high growth, usually technology ventures, not your average small business. They have a very small chance to survive the first 25 years, and/or scale to 1,000 employees. By using a best practice, such as MSP or the Lean Startup method, a startup can significantly increase its chance for success. 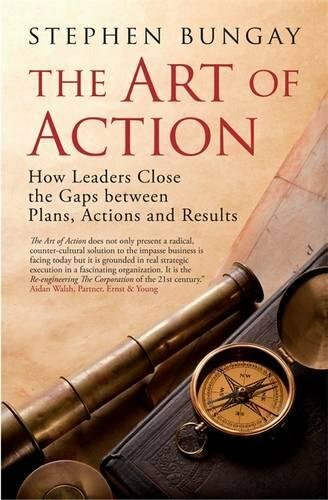 and there is an effect gap between what we like our actions to accomplish and the outcome our actions actually deliver. That means we often need to adjust our course without losing sight of the destination; a pivot in startup jargon. At the program level, we steer towards the destination (vision), but the self-organizing teams navigate using very short feedback cycles to test assumptions and hypotheses. Everyone retains freedom of decision and action within bounds (autonomy, self-organizing). These points are as valid today as they were back then. A startup is basically a program; it has pretty much the same features. 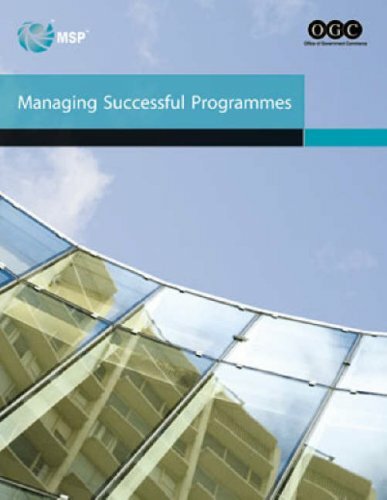 Therefore, MSP (Managing Successful Programmes) is my primary framework. The benefit of using such a framework for a founder is that it makes it easier to communicate your expectations about everybody’s role and responsibilities. Additionally, it pretty much saves you time and energy when designing your governance and formalizing your reporting structure once you have got more than one investor or start to scale. And where MSP speaks of Realizing the Benefits in Business Units, a startup might speak of Growing your Traction through Marketing Channels. The idea is the same. Where MSP speaks of Tranches, a startup might speak of investment stages or growth stages. Again, basically the same idea. The Lean Startup method also fits in nicely. Both MSP and the Lean Startup method start with a vision and revolve around learning using a feedback cycle. Accelerating the feedback cycle reduces the uncertainty that comes with starting up a new business or program. Aren’t there any adaptations to be made to MSP? Sure, I replace the POTI Blueprint with the Business Model Canvas and the Value Proposition Designer. And the Benefits Map is replaced by the Future Reality Tree (ToC). Instead of Benefit Profiles, I use Key Metrics and Validated Learning. The biggest change to MSP is probably that, instead of a Program(me) Plan, we use Kanban/Scrum Boards with Burn Charts. And of course, I do not use a full-blown version of MSP; we would want to keep it lean. On the operational level, I do not promote PRINCE2 as a framework for development teams in a startup. Even though the best practice can be made surprisingly agile, the Lean Startup method complemented by Scrum is, of course, the way to go. However, once you start to scale, you will find that scaling lean and agile teams is not as easy as the many frameworks for scaling agile suggest. I found that a customized combination of MoP, MSP and PRINCE2 Agile (or Agile PM/DSDM 4) actually works better than agile scaling frameworks such as SAFe, Nexus, S@S, LeSS, or the Spotify approach when aligning dozens of agile/lean teams. One reason is that many investors and board members, being in their 50s and 60s, are better at ease when confronted with a governance and reporting structure they can relate to, while the smart creatives on operational levels may keep their autonomy. Everybody wins. Another reason being that MSP and PRINCE2 have been around much longer than most agile scaling frameworks, and are therefore more robust and easier to implement. Notwithstanding that there is a lot of value in the agile scaling frameworks, and I often draw inspiration from them for specific challenges. I closed my session by offering everyone in the room the Leadership-4-Growth White Package for FREE! I love giving people as much value as I possibly can. I would love to get your take on this, so please comment using your favorite social media. Thanks.